With Brexit on the horizon, the UK is currently in search for alternative trade agreements, not only with European countries, but also other economies around the world. The emerging market of China plays a key role in this strategy. In this entry I will assess the potential and implications of future UK – China relations. Ngai-Ling Sum and Bob Jessop have undertaken a detailed study of the discourses underlying the rise of the so-called BRICS, i.e. Brazil, Russia, India, China and South Africa, in the global economy. Interestingly, they reveal that the hype about the rise of the BRICS has been a creation by economists from Goldman Sachs. Sum and Jessop identify three key moments of this hope project of the BRICS. First, in the early 2000s, the BRICS were identified as an excellent location for investment. With large amounts of private capital circulating in the global financial markets in desperate search for profitable investment opportunities, this was welcome news and resulted in large financial flows pouring into the BRICS. Against the background of flagging demand levels from 2004 onwards then, the BRICS hope project entered its second phase. Now the BRICS were branded as excellent places for exporting consumption goods as a result of rising middle classes with money to spend on luxury items. Finally, against the background of the global financial crisis in 2007/2008, the BRICS were then declared to be important lenders in times of financial crisis. In other words, highly indebted European and North American countries were hoping for investment from the BRICS to revive their financial fortunes. 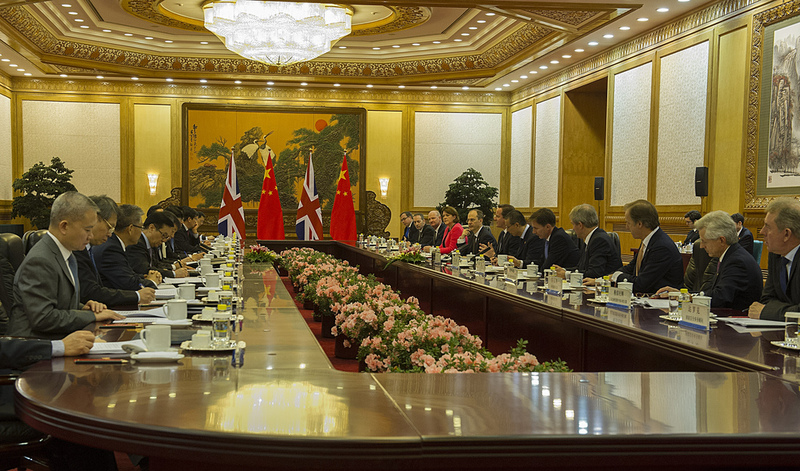 Analysing reports from the recent high-level UK-China talks, which took place on 10 November 2016, it becomes apparent how the UK is now engaged in creating its own China as a hope project against the background of economic losses resulting from Brexit. As reported by the BBC, ‘Mr Hammond, [the Chancellor] said it was important for the UK to tap into the Chinese market, with the country’s middle-class population expected to reach 600 million in the next few years’. The parallel to the BRICS as a hope project is visible. Lack of demand at home and in Europe is supposed to be made up for with additional demand in China. 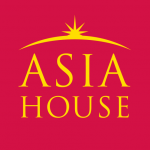 Similarly, the following statement confirms the idea of China as a hope project, as a location for outward investment as well as a source for inward investment. ‘As the meeting took place in London’s Lancaster House, it was announced that the Chinese contractor CITIC Construction would invest £200m in the first phase of the £1.7bn London Royal Albert Docks project, headed by the Chinese developer ABP. The UK will, in turn, invest up to £40m in the Asian Infrastructure Investment Bank based in Beijing, for a fund to help developing countries to prepare infrastructure programmes’. Nevertheless, as in relation to the BRICS as a hope project, it is questionable whether there is actually real substance to these expectations or whether they are not merely wishful thinking. After initially weathering the storm of the global crisis, China has also entered a period of difficulties. With demand levels in Europe and North America, China’s most important export markets, in decline, economic growth rates are no longer so impressive. And there is no clear way out of these difficulties. On the one hand, as Jane Hardy has outlined, China wants to make up for lack of demand elsewhere by increasing domestic demand levels. In order to do so, however, this would imply an increase in workers’ wages and this, in turn, could imply that Chinese cheap labour production units, which are the most successful part of the Chinese economy, are priced out of global markets. There are first signs that some parts of labour-intensive production are being moved to countries with even lower labour costs such as Vietnam or Cambodia. To cut a long story short, China is unlikely to fulfil the expectations of the hope project. There have been instances of inward Chinese investment in the UK, which seem to confirm the China as a hope project expectations. Nevertheless, it is also important to assess the quality of this investment and here, in particular, the specific industrial sector. I will focus on two examples the water and nuclear energy sectors. As for the water industry, the ‘China Investment Corporation (CIC), the country’s sovereign wealth fund, has bought 8.68% of the company behind UK utility group Thames Water’. Commenting on the deal the then Chancellor George Osborne said that ‘this is a significant step by China. It is a vote of confidence in Britain as a place to invest and do business’. Again, this is very much in line with this idea of China as a hope project. Looking into the privatised water industry in more detail, however, the benefits for the British economy and people are highly doubtful, not because the investment is from China, but because of the nature of the privatised water sector in the UK. As Aditya Chakrabortty established for the period of 2007 to 2012, ‘in three of those five years, investors took more dividends out of the business [Thames Water] than it raised in profits after tax. Bung in interim payments, and there was only one year in which the consortium of shareholders took less out of the company than it had in post-tax profits. What replaced the profits? In a word: debt, which more than doubled to £7.8bn in that period’. Chinese investment will simply participate in this profit racket. Potentially even more dubious is Chinese investment in nuclear energy. In September this year, the UK government approved Hinkley Point C, a new nuclear energy plant, saying it had imposed “significant new safeguards” to protect national security. State-owned firm China General Nuclear Power Group, or CGN, will pay about a third of the cost of Hinkley. Under its agreement with EDF, it will also have a stake in a new plant at Sizewell in Suffolk. For China, this investment is interesting as it allows them to demonstrate their technological ability to build this kind of power plants. The fact, however, that they come to the UK is only because in many other European countries such as Germany it has been decided to get out of nuclear energy, considering the long-term risks involved. In fact, any construction of a new nuclear energy plant in the UK will be heavily contested and it is fortunately not clear yet whether this power station will ever be built. Again, the benefits for the British people from this Chinese investment are highly doubtful. With benefits for the wider UK public in doubt, it becomes important to go beyond a state-centric view, when assessing the potential benefits of UK – China relations. In a recently published special issue on Chinese labour in the global economy, my colleague Chun-Yi Lee and I have brought together a range of articles which confirm that Chinese workers labour under conditions of super-exploitation in sweatshops producing for export. Chinese workers for one do not benefit from the UK – China relations. British workers have also suffered attacks on pensions, pay and trade union rights in recent years. They have also experienced a dramatic increase in precarious working conditions reflected in the proliferation of zero-hour contracts. Here too, it is highly doubtful to what extent and in what way workers will benefit from UK – China relations. Ultimately, the danger is that capital will always organise situations in its own interests. The recent deal between the UK government and car manufacturer Nissan demonstrates, how especially big companies can ensure that they will not suffer any potentially negative consequence of Brexit. The real worry is that workers are going to lose out in the further development of post-Brexit UK – China relations. British workers will ultimately pay for the bill left by Brexit, as they have done for the bill related to the global financial crisis. Andreas Bieler is Professor of Political Economy at the University of Nottingham in the United Kingdom and Fellow of the Centre for the Study of Social and Global Justice in the School of Politics and International Relations at Nottingham University. This article was written as a reflection of the FCO series held at Nottingham University in Novermber 2016, a version of this article can also be found on the author’s personal blog. Image Credit: CC by Number 10/Flickr.